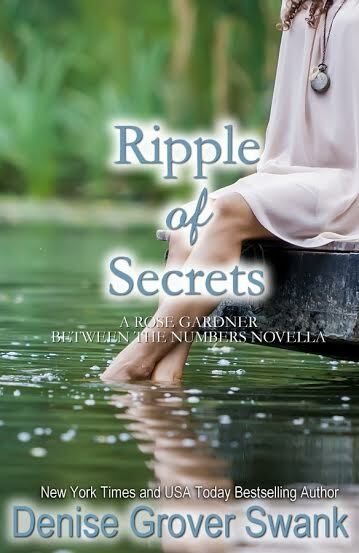 We have less than one week until the release of Ripples of Secrets part three on my website! I will send out the email at midnight, CST, March 11. I’m so excited for you to read it! Part three contains another OMG! scene. REMEMBER: Part three will only be available on my website until 11:59 p.m., March 16. It will then release for sale on March 17. This means you only have one week to read it. If you have Gmail, check in your Promotions folder and your spam inbox. If you have a different email provider, check your spam inbox. If you have never received an newsletter before, verify that you ARE indeed signed up. Once you have followed the above steps and you still don’t find it, email me at denisegroverswank@gmail.com and tell me you have done the above steps, and I will forward it to you. It is important that you email me ASAP so I can send you the link! The page WILL BE PULLED AT 11:59 p.m., March 16. I want everyone who subscribes to my newsletter to be able to read it, so be sure to make sure that you read before the page is gone! If you haven’t subscribed yet, you can do so here. I did not receive the Ripple link. Be sure to check junk folder. Mine always goes there for some reason. I have been unable to download the link after following the instructions on your website. Please send the link as I can’t wait to start reading it. Thank you very much. I came across the Rose Gardner mystery books 2 weeks ago and have read them all already! Once i start reading i just cant put it down! 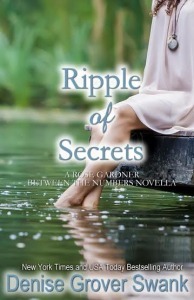 I just finished reading ripple of secrets (secretly at work) and I am dying in anticipation for the next book!! Not were you correct when I asked what I had missed between 33 and 34. I strongly disliked Hillary until this novella. Now I just feel empathy. Thanks for helping me put the missing piece of the puzzle in place. I meant wow were you so correct in what I was missing. Sorry for the typo.